Masur Birch is not a particular species of birch, but is rather a grain figure that is most commonly seen in Downy Birch and Silver Birch. It is also sometimes known as Karelian Birch—with Karelia being a region between Finland and Russia. Once surmised to have been caused by the boring larvae of a certain beetle, Masur Birch in Norway has been shown to be hereditary, classifying the name of the variant as Betula pendula var. Carelica. 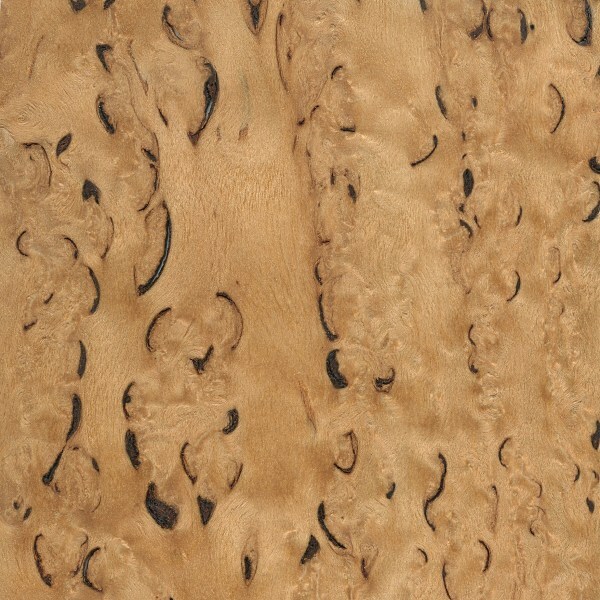 Regardless of the exact cause and makeup of the peculiar grain pattern, the resulting figure and appearance is very similar to burl wood or birdseye maple, though of a different origin. 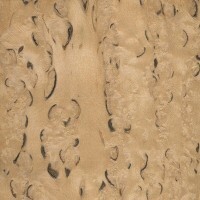 Masur Birch is commonly used for turned objects, decorative veneer, knife handles, and other small specialty items. 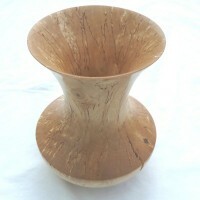 A special thanks to Steve Earis for providing the wood sample and turned photo of this wood species. 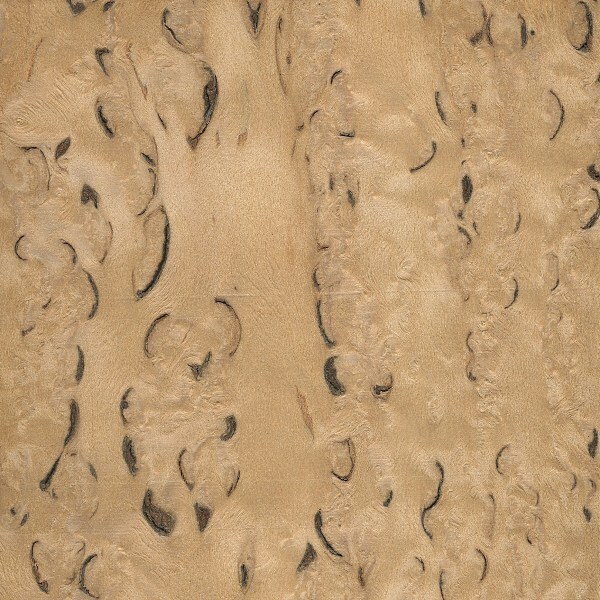 This grain pattern looks just like what the Sonor drum company used for their old Sonorlite drums back in the 80’s. They advertised it as “Scandinavian Birch”. Great sounding drums, I know that! Actually the pattern in masur birch is not from any form of larvae. Masur birch is a genetic “sick” type of birch which has been around for ages. 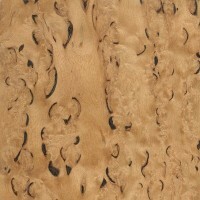 The pattern comes from the bark and/or knots growing into the tree instead of out of it. I dont know where the rumor that larvae made the pattern comes from, but it is absolutely not true. I know many people who have grown their own masur and they have never seen any larvae. Also there has been much research done on masur birch in norway since we have a long tradition of making knife handles from masur.